Glass greenhouses need only a little sun to get warm, but foil greenhouses reign supreme in this regard. 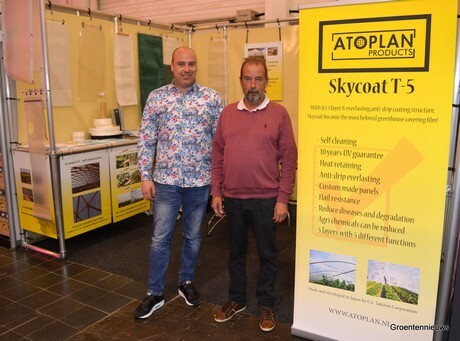 In the assortment of horticulture foils from Atoplan Products, the Sky Coat T-5 has been the showpiece since last year. "Even without heating, the temperature is well above zero when it is freezing." The foil, produced by C.I Takiron, was introduced in the United Kingdom in 2018. Willie Homma: "Particularly crops that need direct light and warm air and ground climate prosper under this horticulture foil, derived from teflon foil." Just as with greenhouse glass, the developments in the area of foil are continuous. Particularly outside the Netherlands and Belgium, where most greenhouses are glass, foil is very much in demand. And not only because it is cheaper. "Contrary to glass, foil has more thermal properties, and is more energy efficient. 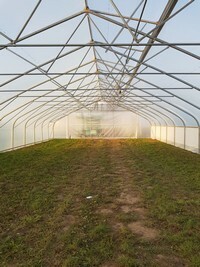 That is why in Canada more than half of the greenhouses are equipped with foil." The Sky Coat T-5 consists of 5 layers, each with its own function. Apart from the good thermal properties and high light transparency with diffuseness, the foil has self-cleaning properties and is resistant against the influence of crop protection agents on the inside of the foil. "Dust, algae, and bacteria have little effect on the foil, which makes the light yield after ten years just as much as in the beginning. One or two rain showers are enough to keep the foil clean, especially in Northern Europe." Also important is the good UV resistance of the foil. "It is important that the foil lasts long, because replacement costs are always higher than the costs of the foil itself." 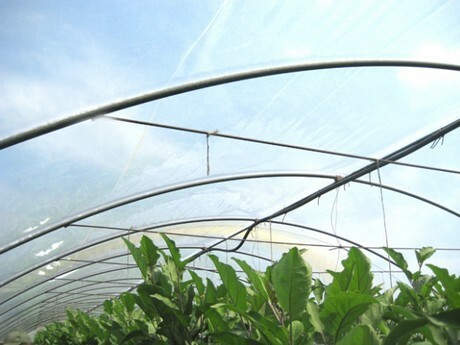 Unlike previous foils, the Sky Coat T-5 is available in widths up to ten meters, making it suitable for all greenhouses. 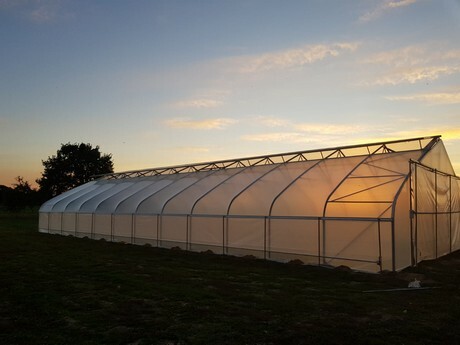 Atoplan Products, previously known as Atomica, is a plastic processing company that also produces foils and other plastic products for horticulture purposes. "We translate the wishes of the grower to a foil with the right chemical composition to bring those properties forward. We then conduct tests on our testing location in Italy, and it usually takes four to five years before a foil is ready for market introduction."